I figure to be as authentic as possible, I have to share my kitchen successes as well as my not-so-successful ventures. This Mexican Chocolate Ice Cream didn't come out quite as I would have liked it. 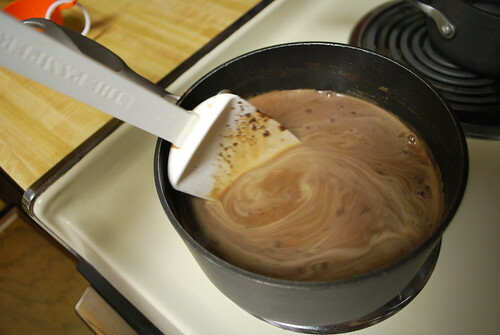 I was combining recipes and something went awry. In addition, you can bet I'll be trying this vegan alternative, not because I'm vegan (I'm definitely not) but just for the fun of it, and because I'm always on the lookout for ice cream recipes made with sugar alternatives. I've never made ice cream with coconut milk, so I'm intrigued to say the least. 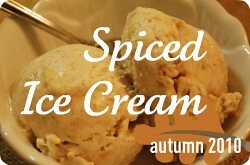 Hopefully this post is simply whetting your appetite for more spiced ice cream goodness. 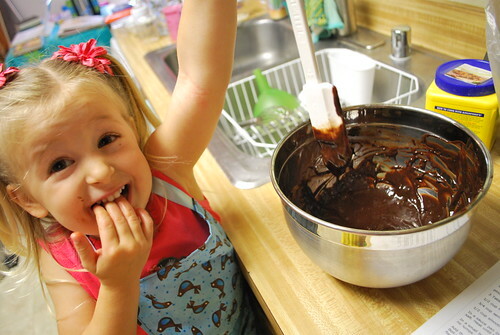 I have three "successful" recipes to share with you that are out-of-this-world, so stay tuned! Homemade double chocolate peanut butter ice cream with homemade whipped cream? Yes, please. I used half the sugar and substituted brown rice syrup for the other half (mostly because I ran out of sugar, but this seemed like a good "healthy" alternative sweetener to use, too). my trusty ice cream helper sneaking a taste. More sweets to come this week! Happy long weekend to you!